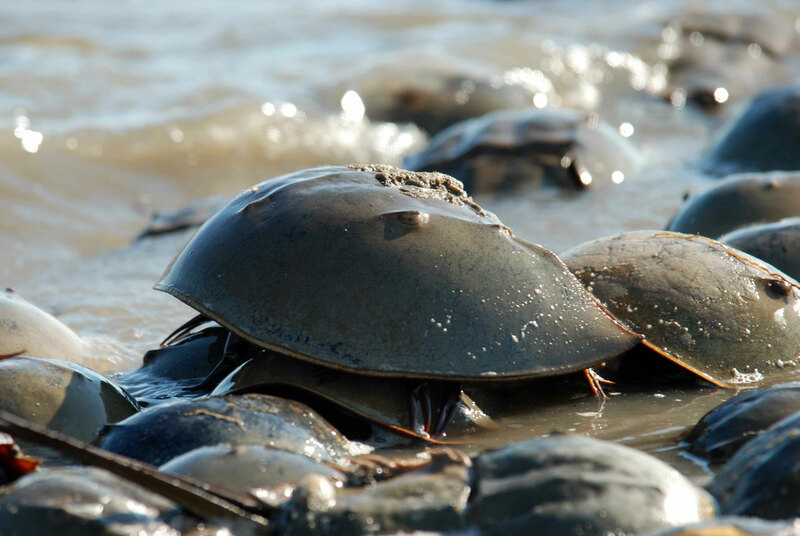 Don’t miss the Branford Land Trust’s third Winter/Spring Lecture “Horseshoe Crabs and Project Limulus,” presented by Sacred Heart University staff on Wednesday, March 23, 7:00 p.m. The event is free and open to the public, and will be held at the Blackstone Memorial Library, 758 Main St, Branford. Come learn about the importance of horseshoe crabs and how the Branford Land Trust has assisted in the study of Horseshoe Crabs through Project Limulus. Project Limulus began in 1998 and has since conducted multiple studies focusing on the life history of the American horseshoe crab population living within Long Island Sound. You’ll be amazed at what we’ve discovered! Please save the date for our final lecture in the series, “How to Watch Birds” with Artist and Naturalist Robert Braunfield on April 27. The mission of the Branford Land Trust is to preserve open space in Branford, and to promote our community’s appreciation of Branford’s diverse natural features. For more information about the BLT or its Winter/Spring lecture series, please call Martha Rice at 203-314-7128.